The Bring Your Own Device (BYOD) trend has rapidly morphed from a disruptive worry into a strategic, positive initiative for many organizations across the globe, according to results from a new global survey released today. In fact, significant business benefits often follow when BYOD-adopter companies empower their employees with their preferred devices and work habits, as well as more say in the applications and data access they need to get their jobs done … anytime, from anywhere, the survey shows. What's more, the rapidly improved productivity and enhanced collaboration among employees -- as well as greater communication and better service with customers, suppliers and partners -- are proving to be competitive advantages for companies that do BYOD best. The majority of survey respondents agree that BYOD strategies deliver benefits -- more than 70 percent said they believe that BYOD can boost employee productivity and customer response time, and 59 percent say they feel their company could be at a competitive disadvantage if they didn't implement BYOD. It's important that organizations define a program to help manage and protect their corporate information, but also to empower employees to do their jobs better and faster. And attitudes toward the innovation impact that BYOD has are largely the same among the midsized (between 1,000 and 3,000 employees) and large (more than 3,000 employees) companies surveyed. Roughly half of respondents in both groups say that BYOD has significantly changed the business culture at their organizations. Yet less than half of the IT leadership respondents -- 44 percent -- say they understand the importance of a user-centric approach to BYOD. And this is where many organizations are missing the boat, according to Dell Software. 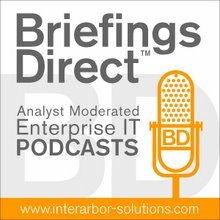 "It's important that organizations define a program to help manage and protect their corporate information, but also to empower employees to do their jobs better and faster, or to improve customer satisfaction, or whatever the goal is," says Roger Bjork, Director of Enterprise Mobility Solutions at Dell Software Group. "Companies that do BYOD for a purpose, to help with a broader goal, are seeing better results versus those who simply let BYOD happen. A big part of that is focusing on the user aspect, and not limiting it to a device discussion." To me these results should remove doubt that embracing desktop virtualization (VDI) and mobile device management are priorities for IT. I also think that BYOD is a catalyst to more general IT transformation and more business-centric emphasis for IT innovation. You could say that BYOD forms a capstone on the rising archway of VDI, web apps, thin clients, terminal services, and other applications delivery advancements overt the past 15 years. The idea, of course, going back to the very first PCs, is to let the user decide how to work best. Indeed, those survey respondents who say they believe the user-centric approach to BYOD is the right one also reported they are able to drive business benefits, satisfy users and gain a competitive edge to a higher degree than survey respondents who don't see the benefit of a user-centric approach. Some 64 percent of respondents say BYOD works well when the specific user needs are understood by IT. And respondents at companies further along in their BYOD strategy implementations are more likely to agree that the most benefit is derived from programs that put the user first. Understanding individual user needs and the resulting improvements in employee productivity and satisfaction are much more important pillars of a BYOD strategy than simply allowing employees to use the device in their pocket or purse for work, says Bjork. The survey data definitely shows companies that have well thought-out BYOD strategies have fewer issues and are garnering better results. "You do a disservice if you make this about what shiny object do employees want to use to connect to email. It's much broader than that," he says. "I think the survey data definitely shows companies that have well thought-out BYOD strategies have fewer issues and are garnering better results." A one-size fits all approach to BYOD does not work, says Bjork, IT should manage the spread of BYOD. "You can't just let BYOD happen," he added. A user-centric approach to BYOD fits with the recent trend for IT to transform into a service-delivery organization that understands not only the goals of the business, but how to support employees to help them achieve these goals, adds Bjork. What's more, as the Millennial Generation enters the workforce with certain digital expectations, user-centric BYOD policies can be leveraged as recruiting tools. "Let's face it, this is not just a mobile thing. It has a much broader impact," says Bjork. "BYOD is a method, not a result. … You should start by asking 'What is the user trying to accomplish?'" The bottom line is that IT now needs to support multiple ways of working for a variety of styles and devices that appeal and adjust based on user preferences and innovations. The top five BYOD challenges listed by survey respondents are abuse of policies; theft/loss of mobile devices; lack of control over applications and data on devices; employees leaving the company with insider knowledge; and unauthorized data distribution. Dell's position on the importance of a user-centric BYOD strategy comes from experience. Carol Fawcett was the CIO of Quest Software, which was recently acquired by Dell, with nearly 4,000 employees in 23 countries. The company focused on giving employees access to the applications and data they needed to get their jobs done, regardless of what device was being used. The results of this latest BYOD survey reinforce the importance of putting users first in order to develop the most effective policies and turn BYOD into a long-term, sustainable business benefit. rights and data leakage," says Fawcett. "The results of this latest BYOD survey reinforce the importance of putting users first in order to develop the most effective policies and turn BYOD into a long-term, sustainable business benefit." As Quest found with its own workers, the better planned the BYOD acceptance, the fewer negative issues and the better the productivity result. I recently spoke with Fawcett at length about the experience. I think we should also expect that BYOD planning will be done in association with -- and as an accelerant to -- other larger initiatives such as data center consolidation, IT transformation, and applications modernization. Bjork further suggested that companies that have a policy-based approach to security and access control, and adopt services oriented architectures and data lifecycle management will be in a better position to avail themselves of BYOD faster and at lower risk. VDI and thin-client initiatives also pave the way to BYOD.